I still remember when my friend Patrick Zelinski and I first started learning Pro Tools back in 2009. We found the interface a little challenging, and whatever DVDs we could get our hands on at the time never really seemed to teach us the basics or provide us with a process for how to actually use the software. It was still a valuable learning experience, and we did eventually get around to recording some demo tracks with Pro Tools. Patrick stuck with it. I, on the other hand, kept learning on Tracktion, and I was happy with that. I still use Tracktion today. At this point, we’ve both worked on commercially available music projects, and feel pretty comfortable on our respective platforms. Pro Tools has gotten a lot better over the years, but some of the features were a little lacking when I first came across it. The need to use a proprietary audio interface, the fact that you couldn’t easily export your project to a WAV or MP3 file – that kind of stuff made me laugh and also a little sad on the inside. I’ve never had any of those issues with Tracktion. I’ve used at least three different audio interfaces with it, and I’ve always been able to export to whatever common file format I’ve wanted to – even in earlier versions! Oh, but what about plugins? Tracktion doesn’t support plugins, right? Wrong. Most digital audio workstations support a variety of plugins without any problem, not excluding Tracktion. In short, I couldn’t understand why Pro Tools was considered that important. When I was still running a home studio, I would occasionally get calls for work. The studio served a niche market, and we didn’t do much promotion, so we just did what we did, and that was okay. The gentleman on the line wasn’t able to provide me with a good answer. He just wanted to make sure that we had Pro Tools, as if that was a Better Business Bureau badge or commendation of the Pope or something. I didn’t get that client. So if you’re serious about audio engineering, you should at least have Pro Tools as an option. I don’t believe it needs to be the only option you provide, but if you want to appeal to a wide variety of clients, it’s wise to be prepared. 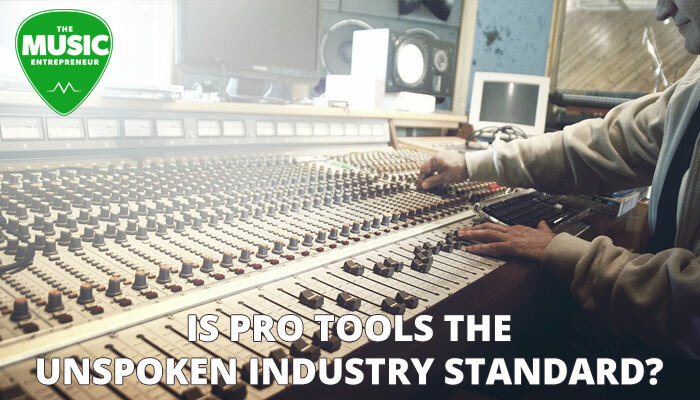 Here’s why Pro Tools is considered important: practically every noteworthy studio has it. This does not mean that it’s the most used DAW in these environments, nor does it mean that it’s the best. But it is prolific – there’s no denying that. If you want to move your project from one studio to the next, you probably won’t encounter any issues. Odd are good that, wherever you go, you’ll be able to load up your project files in Pro Tools in a different studio without much trouble, and resume your work. But I can’t see how that’s a major advantage since exporting your files to WAV in Tracktion (and other DAWs) isn’t likely to cost you more time. After all is said and done, however, I have to admit that Pro Tools is an “industry standard” of sorts. If you don’t believe me, ask a bunch of artists, engineers and experts what they think. Odd are most will tell you that they use Pro Tools. So far, with the exception of one missed opportunity (if you can even call it that), I can’t say that I’ve ever needed or wanted Pro Tools. Maybe I’m just not active enough in studio engineering for it to matter, but I’ll share my thoughts with you anyway. With DAWs, the most important thing to me has always been usability. I will never budge on that. I’ve experimented with a number of DAWs, and to this day, I have yet to find anything simpler and more intuitive than Tracktion (with the possible exception of Garage Band, but I don’t own a Mac). If an interface is easy to use, it means that I can get sketches and ideas down fast, and I can also work fast. By extension, I can serve my clients with minimum friction (yes, I still do some production work here and there), and get my own projects done the way I want them to without the added stress of a cluttered interface. As for plugins, I’m happy to use free or low-cost ones unless I find that I absolutely need something better. I have great guitar hardware, and I can make bass and drums sound pretty good using the tools I’ve got. I’m now in a position where I could acquire more gear and plugins, but I’ve always been a do-what-you-can-with-what-you’ve-got kind of guy, and there are many well-established engineers that are the same way. I get it. Pro Tools is a big deal. I don’t believe any one tool or resource becomes an “industry standard” without good reason. I would argue that Pro Tools has had anything but a spotless history, but a lot of people love it and have gotten good use out of it. I suppose you’re also the type of person that would wear Crocs because everyone else is. That doesn’t make any sense. If you want to stand out, you have to do something different, don’t you think? I say go ahead and make music on FL Studio or Ableton Live. Why the hell not? This will instantly separate you from the drones that go the way of the sheep. There’s enough homogenized pop crap out there – go and make something that’s real. What do you think? 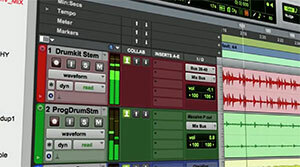 Do you use Pro Tools? Would you consider it an industry standard, and is it truly the best music production software you’ve ever used? Let me know in the comments below!